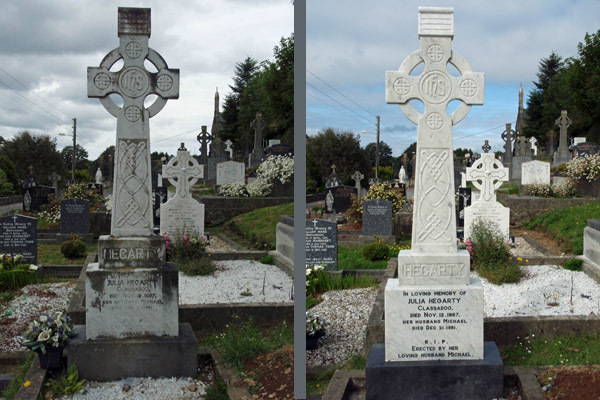 The weather can affect the appearance of headstones over time as the stone becomes discoloured, or the lettering on the gravestone becomes eroded or indistinct. 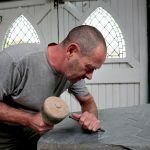 Victor Daly, who is trained in the conservation and restoration of stone will use careful cleaning and repair techniques to restore the grave to a fitting state. This work sometimes involves repairs to damaged headstones or to the kerbing around a graveside. 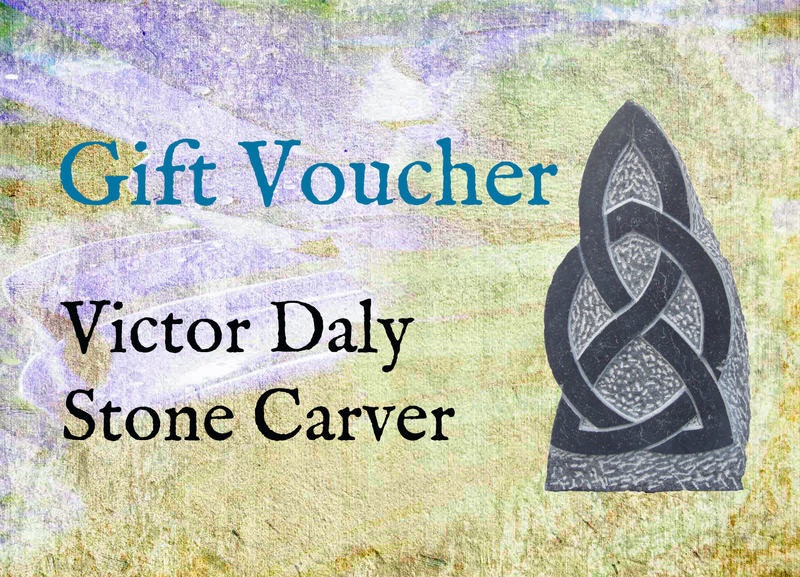 With his substantial experience of conserving and restoring consecrated buildings and stone religious artefacts, Victor is happy to accept commissions to clean and repair graveyard monuments and architecture. For several years, Victor was involved in this kind of work both at St. Mary’s Cathedral in Edinburgh, and at Barryscourt Castle in Co. Cork. Over time, the lettering on headstones can become weathered and unclear. Sometimes too, the need arises to add new names or details the gravestone. The practice of adding new information to headstones is becoming a more common practice now that people are researching their family trees, and tracing their genealogies through public records. Victor can add new details to headstones or repair existing lettering while keeping true to the style of the existing headstone inscription. If you would like to get a quotation for headstone cleaning services or repairs, do get in touch for a free consultation and quotation.